Appearing on Fox New Sunday, former Vice President Cheney was grilled about his opposition to the Iran nuclear deal by Chris Wallace. “In fairness, didn’t you leave President Obama with a mess?” Wallace asked Cheney. The former Vice President responded that the Bush administration’s actions to take down Saddam Hussein made an impact on the Iranians, making other countries like Libya surrender their nuclear weapons. Wallace also grilled Cheney, and his daughter Liz, about the rise of ISIS in Iraq, suggesting that the rise of terrorist groups in the country started after the initial invasion of Iraq under the Bush administration. Regarding the 2016 campaign, Cheney refused to endorse or denounce Trump, even after Wallace read off for him negative comments Trump has made about Cheney. 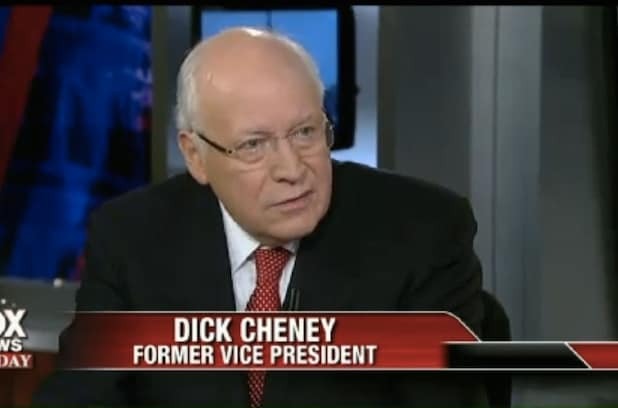 Cheney has been a prolific media presence during the Obama years, mostly criticizing the president and his policies. Still, Republican candidates are not expected to utilize the polarizing former vice president on the campaign trail.